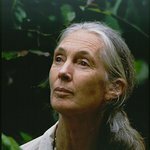 In honor of the upcoming release of the new War for the Planet of the Apes, 20th Century Fox have teamed with the Jane Goodall Institute to provide care for rescued chimpanzees at Tchimpounga Chimpanzee Rehabilitation Center in Republic of Congo. Ashley Sullivan, Community Engagement Specialist at the Jane Goodall Institute, wrote: "The center, currently housing around rescued 150 chimpanzees, represents a place of safety and kindness from humanity – the likes of which many of these chimps have not seen in their early years. Most of the rescued chimpanzees are victims of the illegal entertainment/ “pet” or bushmeat trades, having been orphaned as infants, torn from their forest homes and families. Tchimpounga is their second chance, enabling them to create bonds with other chimpanzees along with their human caretakers, and it is through the shared stories of these beings that we are best able to understand their uniqueness and feel compelled to protect them." War for the Planet of the Apes is the sequel to 2014’s Dawn of the Planet of the Apes, and features Andy Serkis as the ape Caesar, and Woody Harrelson as The Colonel.